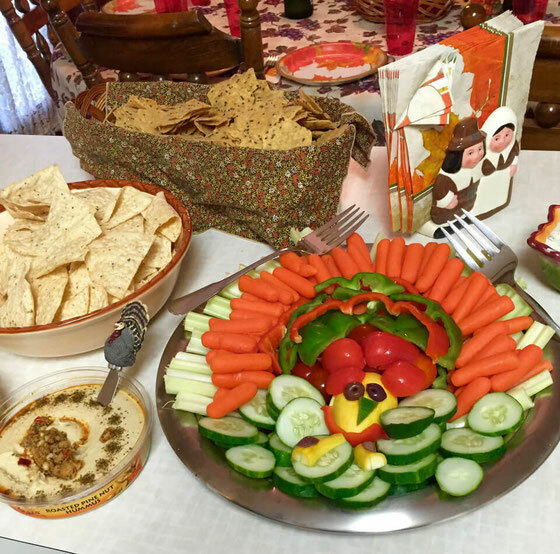 This adorable turkey crudités platter makes it fun to munch on vegetables come Thanksgiving day. Plus, it's a fun activity to have the kids help you with! Thanksgiving is pretty much my favorite holiday ever. My family spends several days celebrating it (we even have a Friday Thanksgiving No. 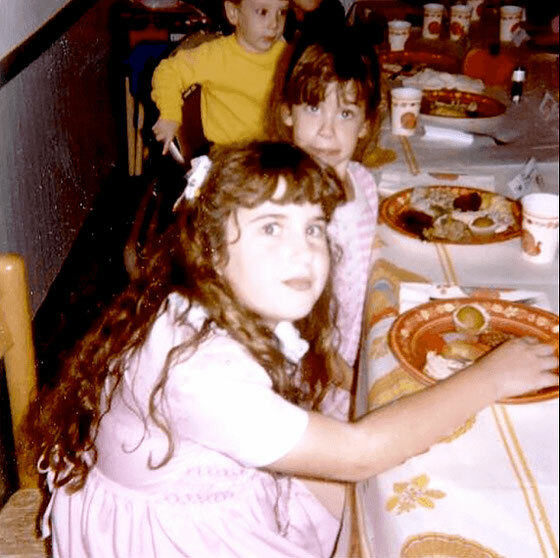 2, during which we dig into the leftovers with our family friends). 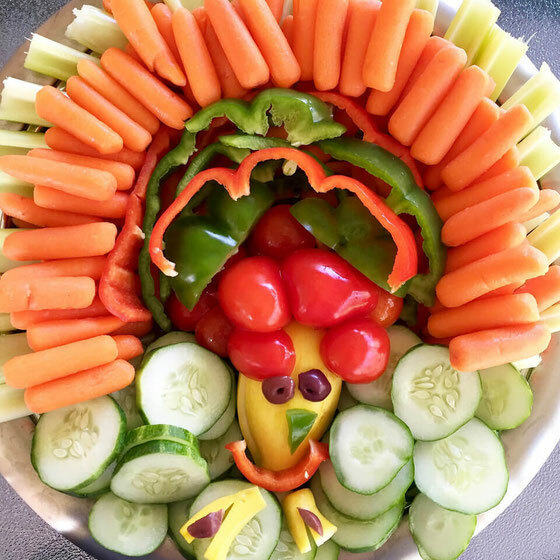 Last year, my mom had the brilliant idea to make a turkey out of vegetables. She left the rest up to me, so we went to a farm stand and a grocery store to pick up some vegetables. Then we got into turkey-making mode! This turkey veggie platter was pretty simple to make and was complete in about 30 minutes. I think it would pair really well with hummus or a Greek yogurt dip, like my Southwestern Greek Yogurt Dip with Crudites. We served the patter alongside the other appetizers, and the veggies went really quickly—although no one wanted to eat the turkey's little olive eyes! Want more Thanksgiving recipe ideas? Your wish is my command! 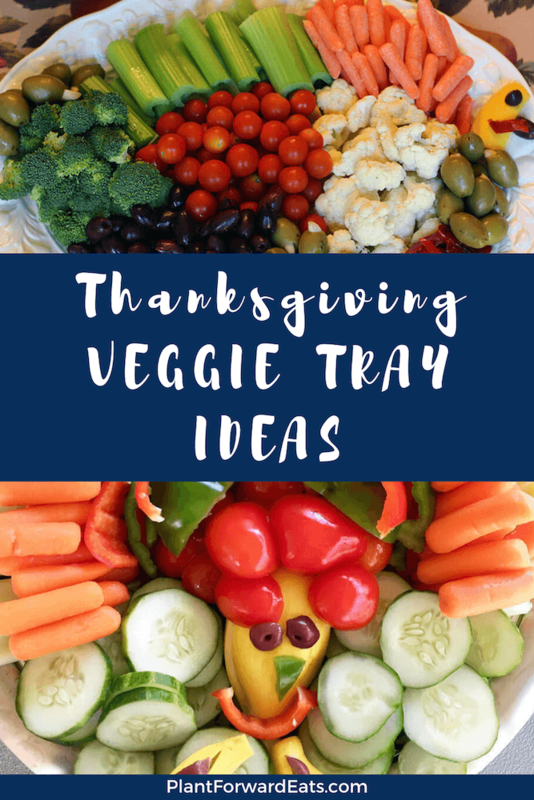 Also, give this Turkey Veggie Tray a try, too! Vertically halve the squash; slice off a small portion off the bottom, and set aside. Stack the squash two halves in the center of the tray. Place celery pieces around the top portion of the squash; then place baby carrots in a layer on top of the celery, leaving a gap at the top of the celery so some is visible. At the bottom of the tray, set cucumber slices around the squash. Slice remaining yellow squash into "legs," and place underneath the squash's body. Slice olives in half, using the pieces as eyes and feet. Slice the peppers, using the red bell pepper bottom as the turkey's headpiece. Place remaining pepper rings on top of this, setting aside a small bell pepper piece to cut into a triangle for the turkey's nose. Enjoy with your favorite dip! What are your thoughts on this topic? What are your favorite ways to serve vegetables on Thanksgiving?